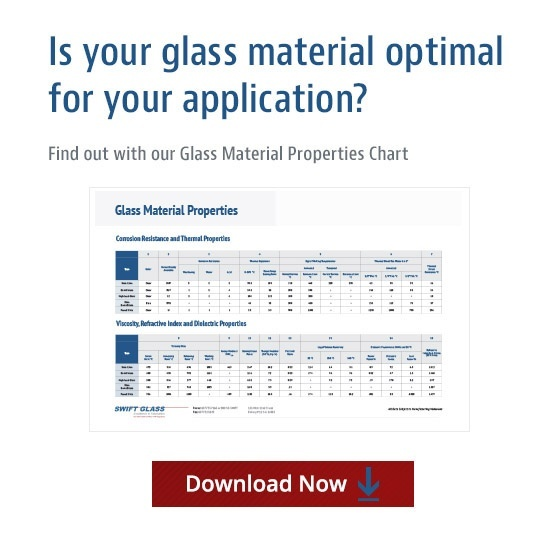 Our team has crafted the ideal glass solution for unique and unusual projects across pharmaceutical, medical research, oil and gas, and industrial applications. Annular Edge Glass is truly one-of-a-kind: this annular edge piece is crafted from a full stack of BOROFLOAT®, a top-quality borosilicate glass. The clear, transparent, high-pressure-resistant glass boasts excellent transmission over the full light spectrum. As a result, it is the optimal choice for medical research, pharmaceutical and petrochemical applications. Annular Edge Glass is crafted in production runs of 200-300 pieces, but customers have also ordered as few as 10 at a time from Swift Glass. How Is Annular Glass Crafted? The process begins with cutting strips of glass. The strips go through our waterjet cutter and an OD grind before chamfering and beveling to remove sharpness and inconsistencies. This ensures a smooth, uniform, optimal fit for the final product. We sandblast each piece before loading them into our washers, cleaning, and then unloading the final product. After thorough quality inspection, the glass is packed for shipment to the customer. 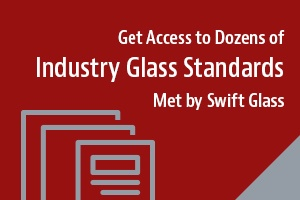 Swift Glass is the only company to provide these highly specialized glass products, taking over manufacturing previously done at Corning, Inc. These are found in high-pressure sight windows at companies across a host of industries, including steam plants, energy companies and electrical plants. The ground flat and parallel gasketing surface makes it ideal for sealing in a flange, and it’s annealed for low pressures. Swift Glass also offers a high-pressure version that is tempered for high thermal shock applications, should your project demand them. Swift Glass has specialized in quality custom glass fabrication for nearly 100 years, and our commitment remains as passionate today as it’s ever been. Let us exceed your expectations; contact the team today.